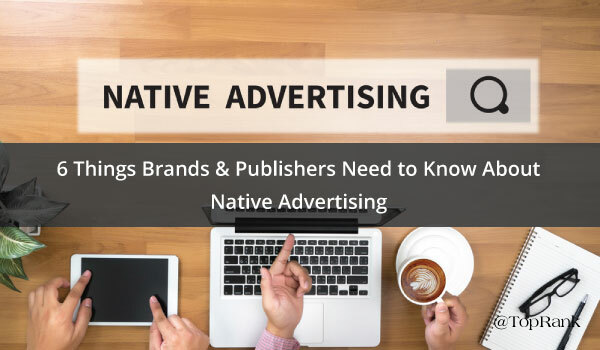 As brands look to create deeper connections with their audience and publishers search for new ways to generate revenue, native advertising as re-emerged as a tactic that both can take advantage of. For those who aren’t familiar, native advertising, also referred to as sponsored content or advertorials, has taken on many forms over the years—from advertorials in newspapers in the 1940s to infomercials and paid programming spots on television. Today, native advertising is a content marketing tactic that typically involves publishing informational and educational articles and videos (with an underlying advertising message) in print or digital publications and blogs. For publishers, native advertising allows them to generate revenue by not only lending advertisers their platform, but also offering their editorial expertise, brand reputation and audience. For brands, native advertising allows them to create valuable content and another touchpoint within in the buyer’s journey as they work toward being the best answer for their audience. Healthcare marketers are intensely aware of the changing industry landscape. From new regulations and technologies to the rise of consumerism, many find themselves retooling their strategies and looking for valuable advice along the way. On Wednesday, June 29, 2016 TopRank Marketing and Medicom Health Interactive are partnering for a free webinar to offer that advice and help healthcare marketers navigate, adapt and thrive in the new environment. The event will feature a deep dive into the four-must have components of an integrated digital marketing strategy outlined in our recent eBook: Patient-First Marketing: Understanding the Anatomy of a Successful Strategy. 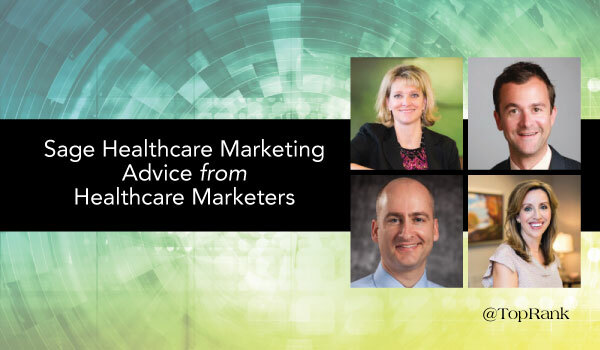 To whet your appetite, we’ve tapped into the expertise of four awesome healthcare marketers (who also appeared in our recent eBook) to share their biggest piece of advice for other healthcare marketers. 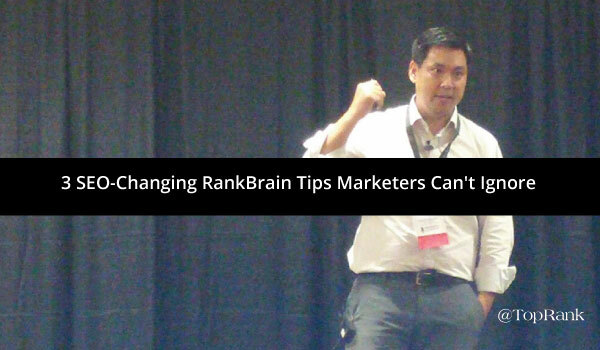 The way that marketers think about, talk about and implement SEO is constantly evolving. Blackhat SEO tactics that once were incredibly successful, no longer garner the results that they once did. Both search engines and online audiences have become much more sophisticated, forcing marketers to ditch the slimy SEO tactics and focus instead on providing real value. 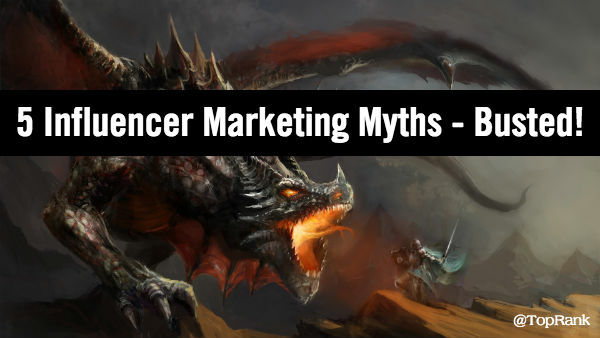 According to TNW News, 47% of digital marketers name SEO as one of their most effective tactics, but 39% also identify it as one of the most difficult. Over the past few years, online remarketing has transitioned into a no brainer practice in digital advertising; and for good reason. Typically associated with lower cost-per-lead and higher return on ad spend, remarketing has caught the eye of businesses and agencies alike. At last week’s 2016 MNSearch Summit, Director of Paid Search at CommerceHub Elizabeth Marsten presented her session titled “Make Your Remarketing More than an Echo,” to a packed room of marketing professionals looking to learn how to make the most of their remarketing efforts. In her quick-witted and authentically expert presentation, she blazed through the history of remarketing and best practices for Google and Facebook remarketing (almost faster than I could type!). We may not already notice the change, but voice search is all around us. Voice search can help us complete tasks when we are occupied or busy multitasking. We unconsciously change the way we search on a computer or a text search compared to when we search with our voices. With the growing interest of voice search and digital personal assistants growing, we must ask ourselves as marketers how is voice search going to change the world for advertisers? 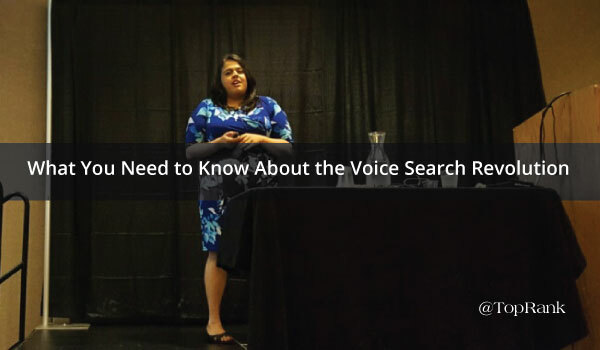 In her presentation at MNSearch Summit, Purna Virji from Microsoft stated that by 2020, 50% of search will come from voice (comScore). She outlined the steps to get prepared for voice search for paid and organic search queries. Since the growth of voice search is growing, now is the time to get ready for voice search and to become an early adopter. For digital marketers, this quote rings all too true. For this reason, successful digital marketing requires constant self and team education and a willingness to experiment with groundbreaking tactics. In our quest to grow online ranking, traffic and leads, conferences like the 2016 MNSearch Summit help to guide us to these goals. Friday’s conference is a digital marketer’s dream. In-person lessons on analytics, search and digital marketing from experts at Google, Microsoft, Moz and more. For four lucky members of the TopRank Marketing team, that dream will be a reality when we attend this sold out event in downtown Minneapolis. There is an art to planning and executing on a successful social media marketing strategy. Social algorithms are constantly evolving, new networks popping up and users are adapting the way that they use social platforms. Keeping up with a steady and quality publishing schedule and engagement strategy for social media is no easy undertaking. To find relief, marketers have begun taking advantage of the many social media monitoring and publishing tools available on the market today. These tools help with everything from scheduling and publishing social posts, to providing insights into content performance and audience segmentation. To help you keep abreast of the latest social news, I’ve uncovered 8 awesome content creators that work for some of today’s top social media monitoring platforms. 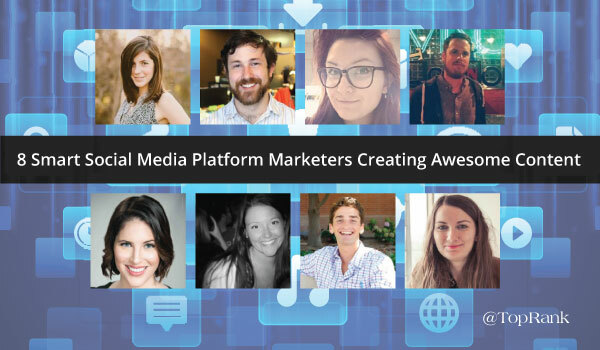 In this post you’ll find information about these social media mavens as well as insight into some of their killer content. Brands are always looking for new and interesting ways to connect with their audience, build awareness and showcase what they have to offer. 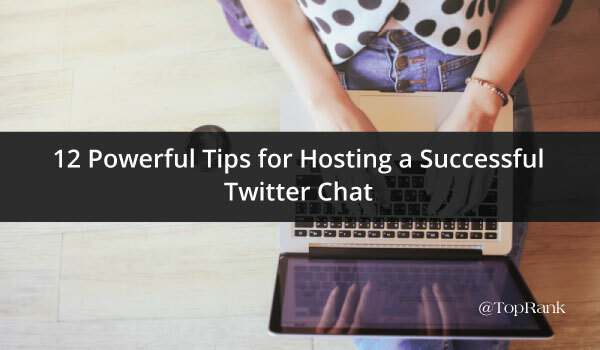 Over the past couple years, Twitter chats have emerged as a marketing tactic that allows brands to do just that and more.